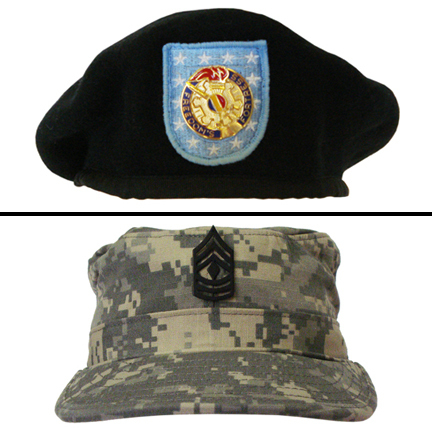 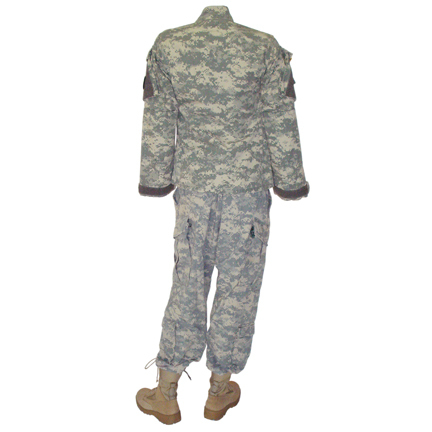 This complete desert camouflage military uniform was worn by the character "Sgt. 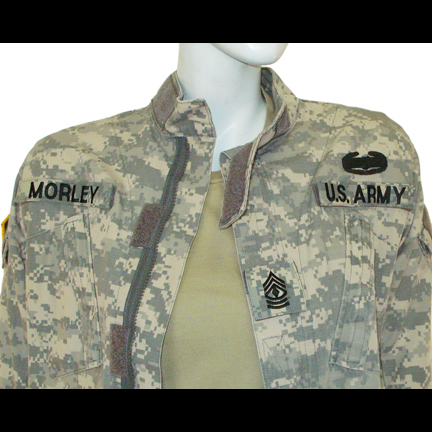 Louisa Morley" portrayed by actress/singer Vivica Fox in the 2008 motion picture "Major Movie Star" also starring Jessica Simpson and Steve Guttenberg. 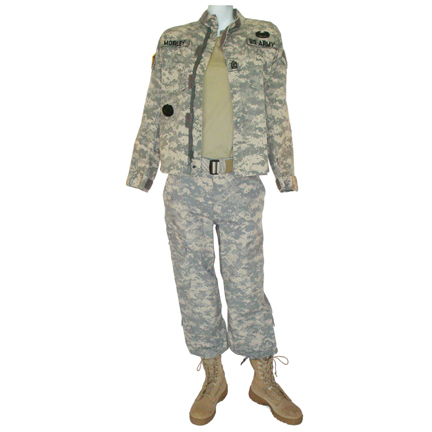 The outfit consists of a military cap and beret, camouflage fatigue jacket with patches and “Morley” nametag, matching pants with blousers, OD tee shirt, tan nylon belt, socks, and desert boots. 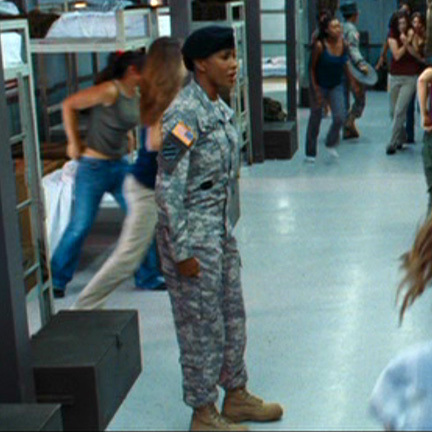 Ms. Fox wore the costume change with beret or cap in multiple scenes throughout the film. 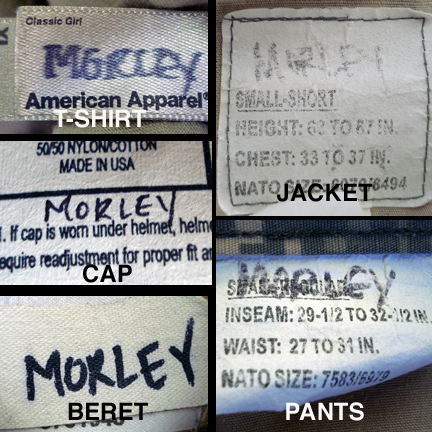 All the items are in good screen worn condition and are accompanied by a letter of authenticity.